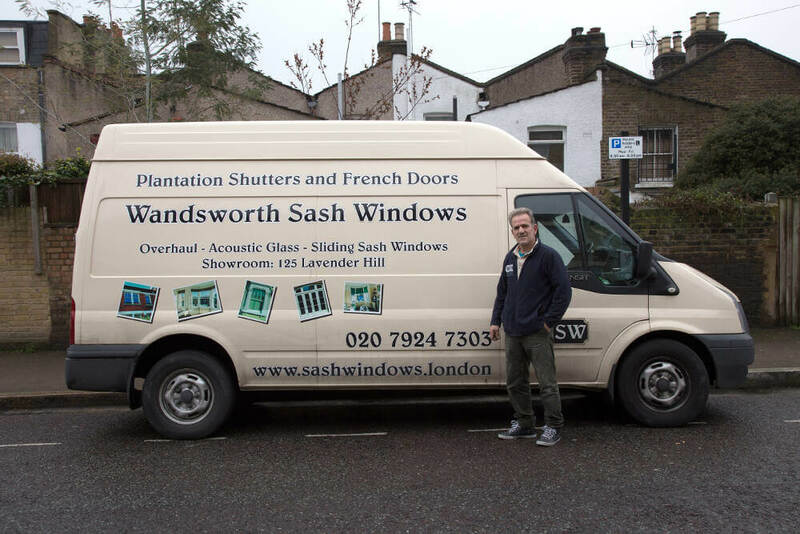 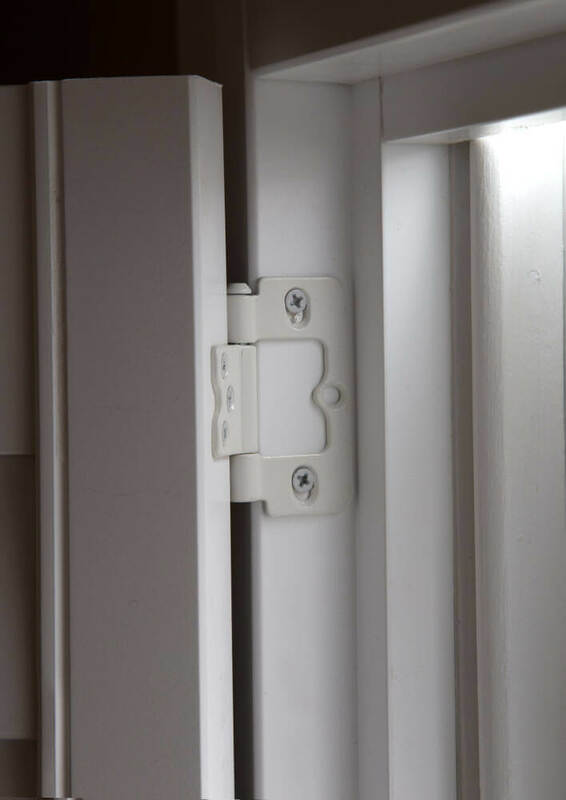 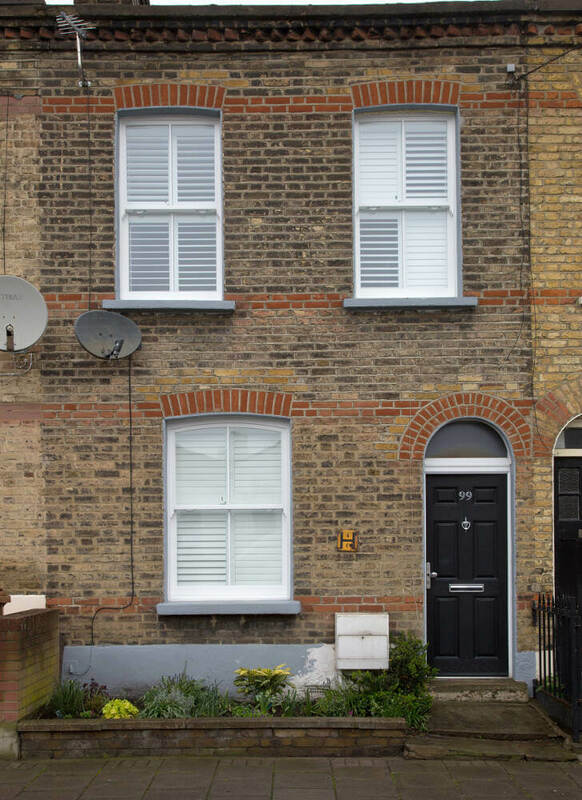 Wandsworth Sash Windows manufactures joinery for installation across London. 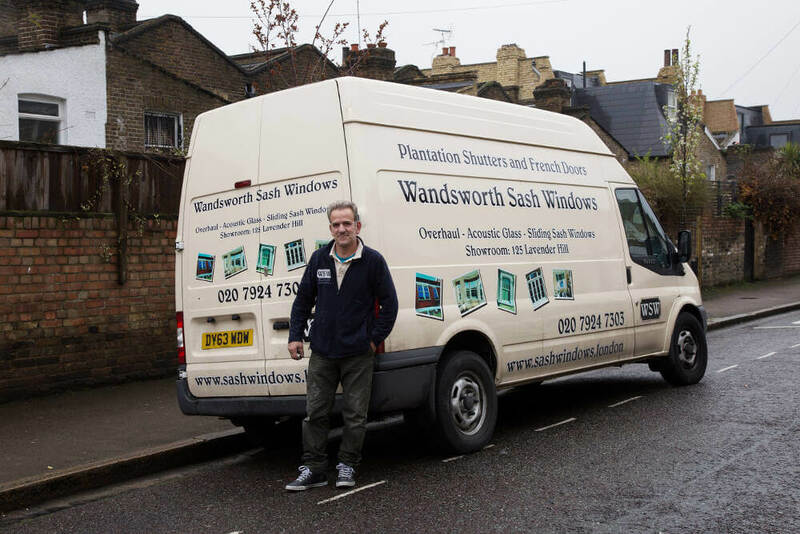 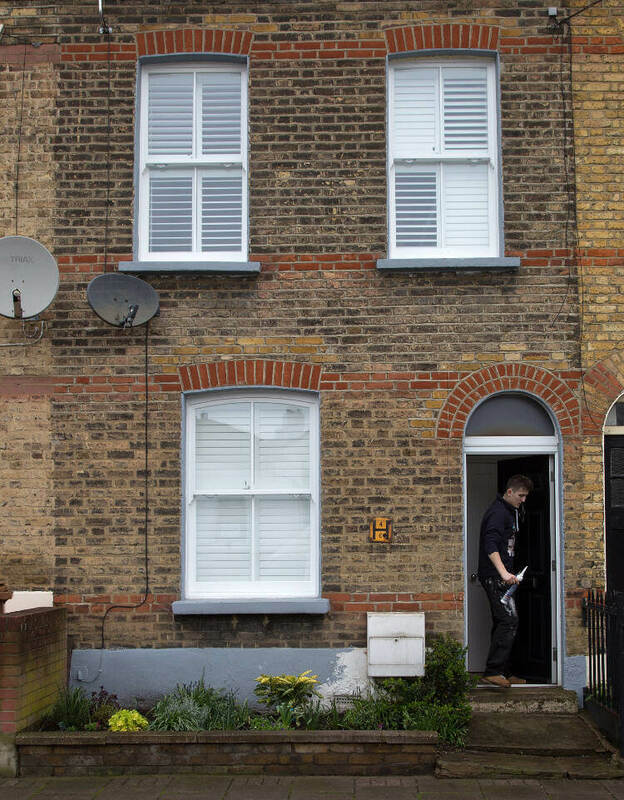 This job, for Mr W on Oriel Road, took us to Hackney. 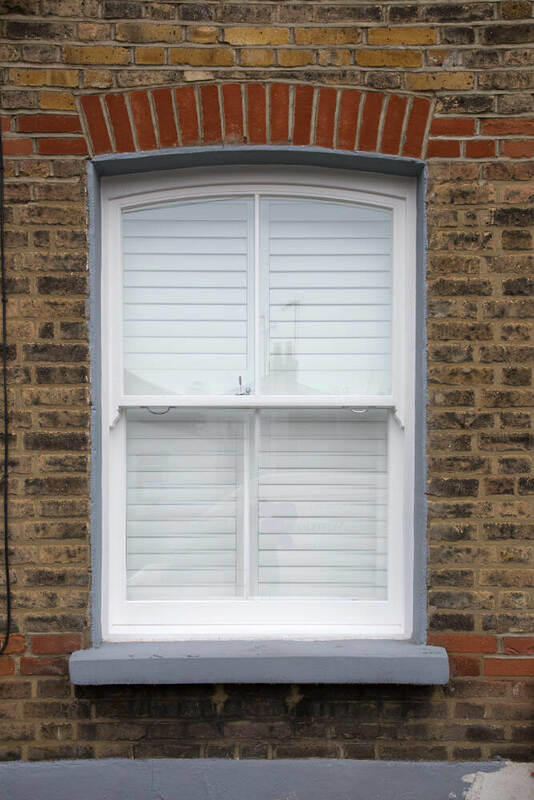 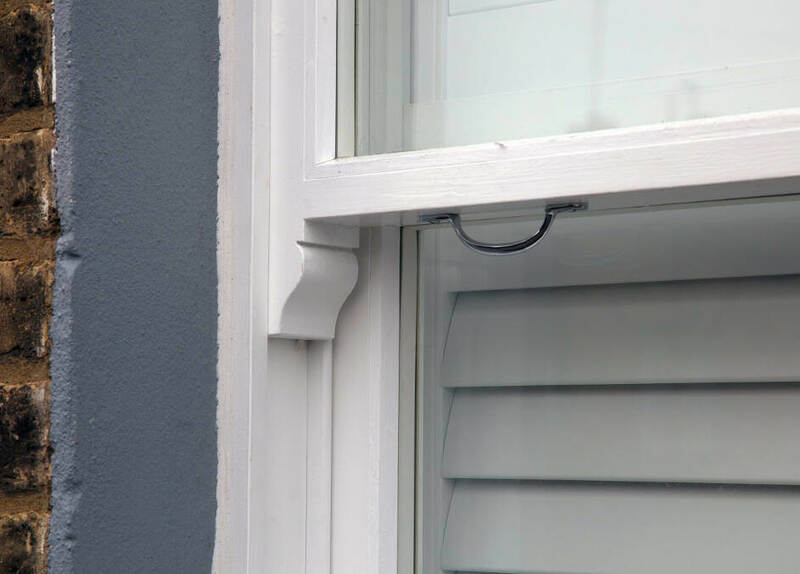 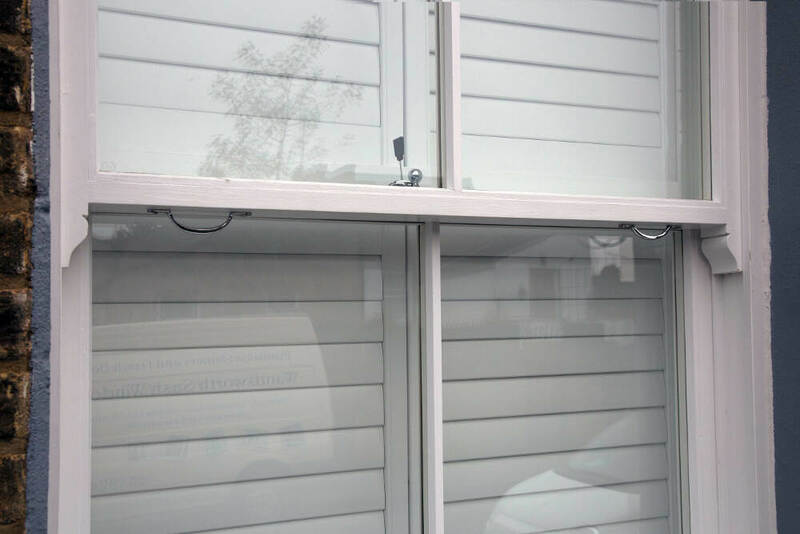 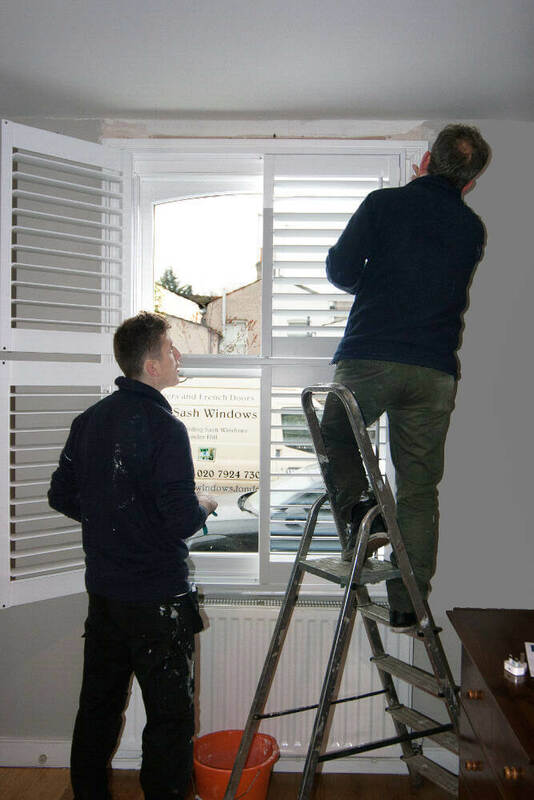 Engaging our services to renew the front windows of your property will completely transform your front elevation. 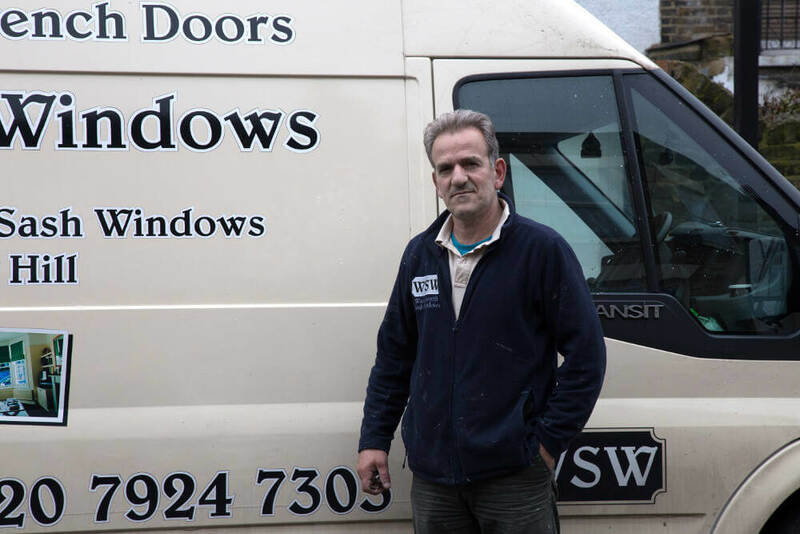 Mr W was very happy with the results. 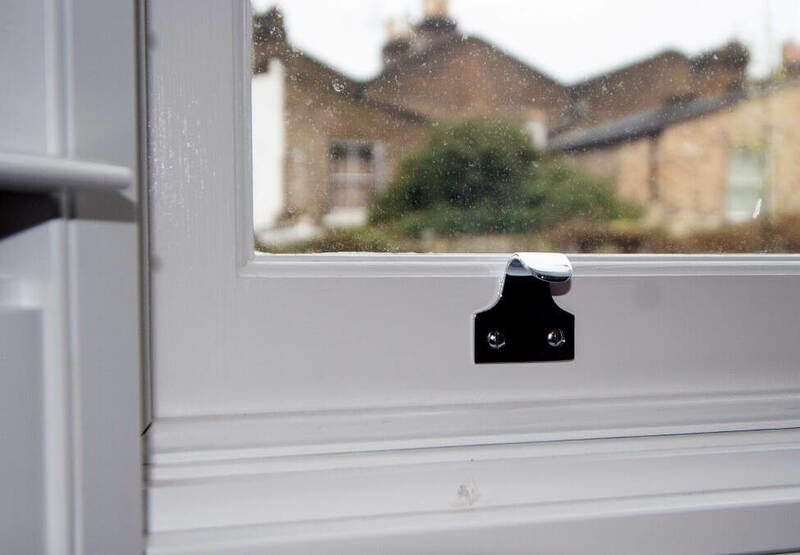 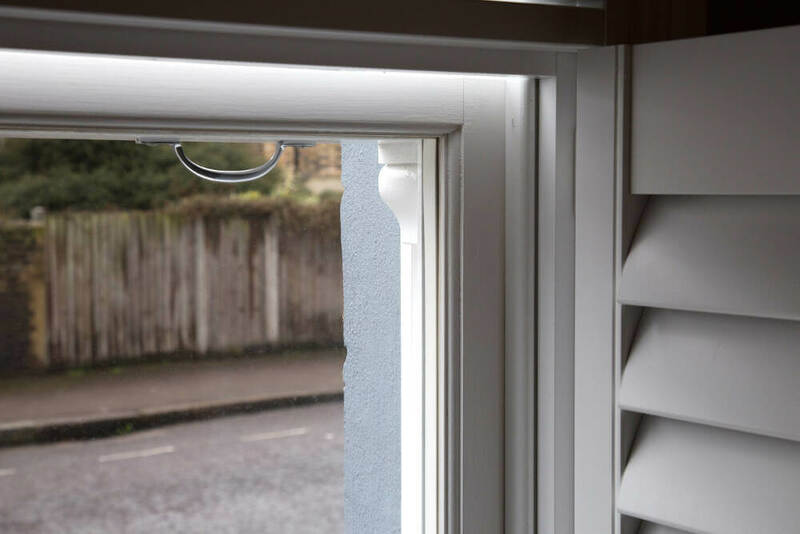 For the ground floor and the two first floor windows we entirely replaced the box frames with new traditional timber double glazed replacements. 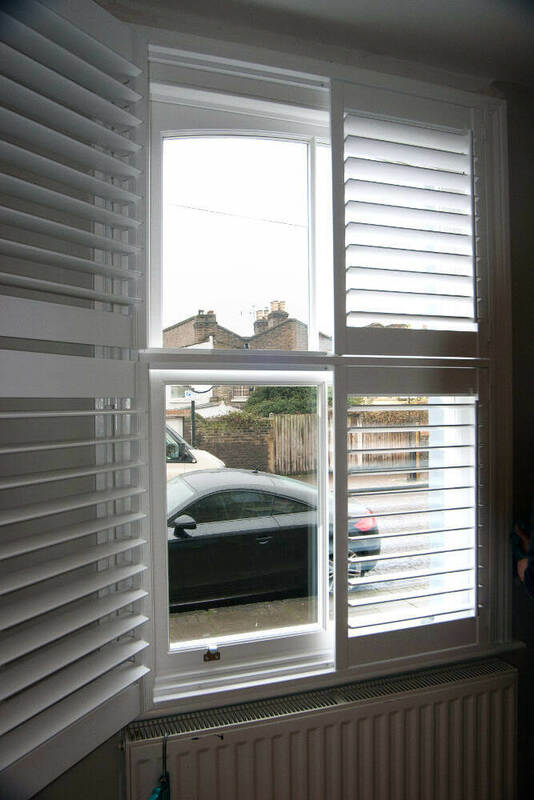 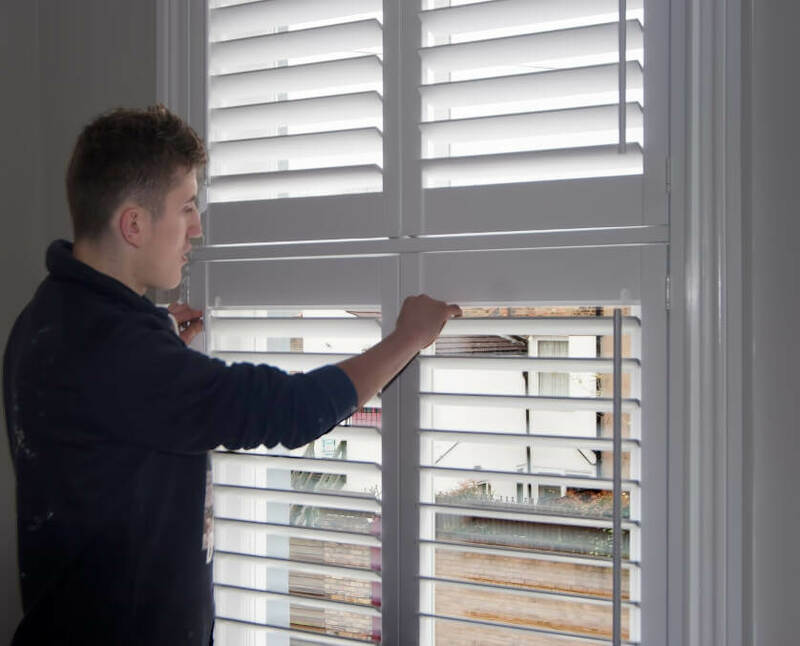 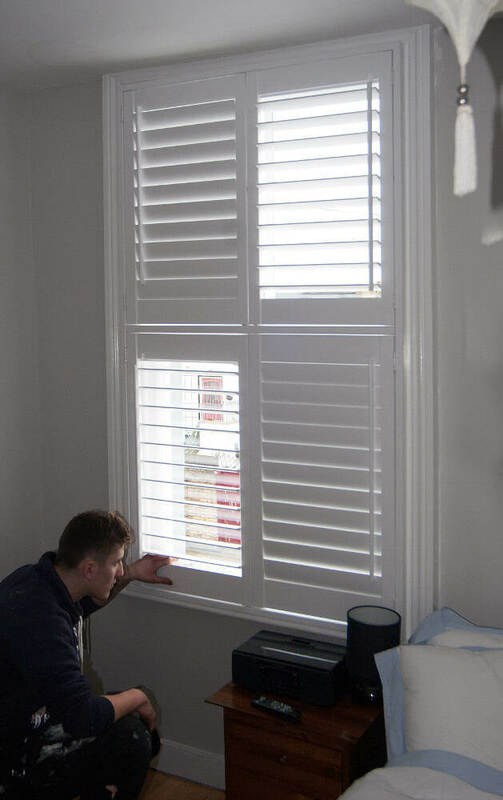 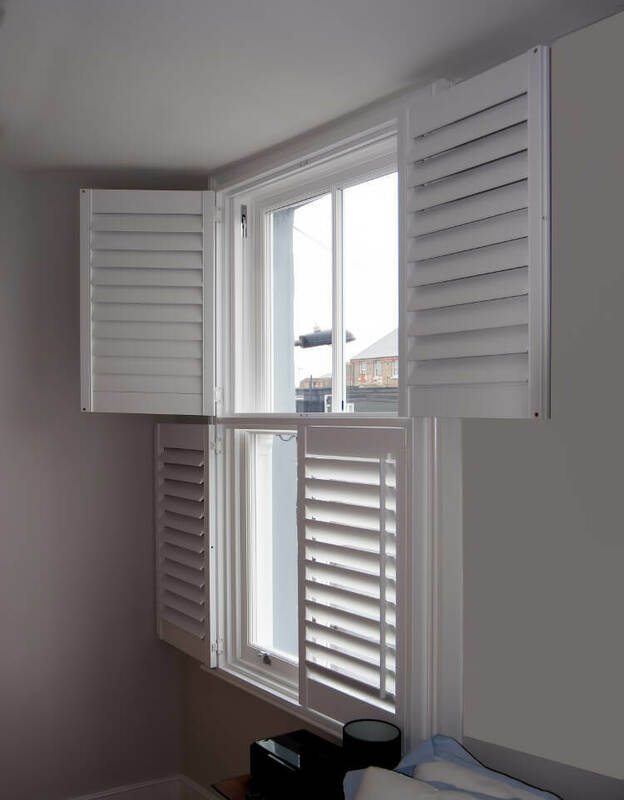 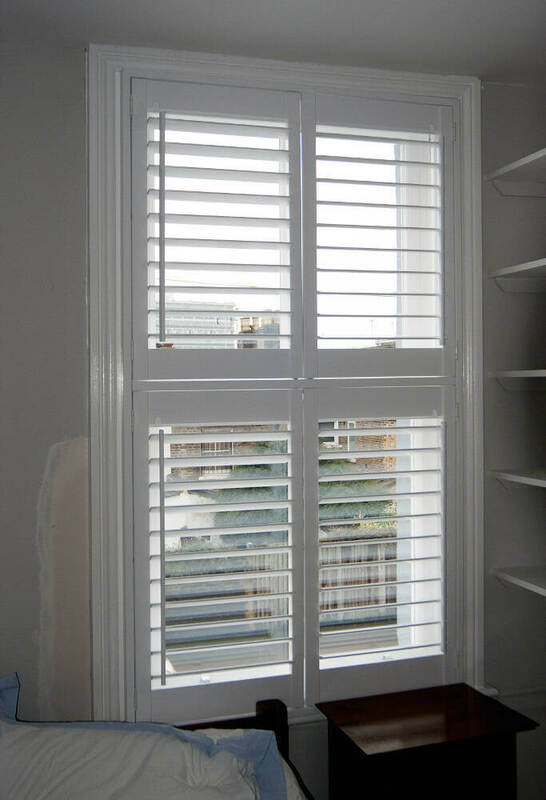 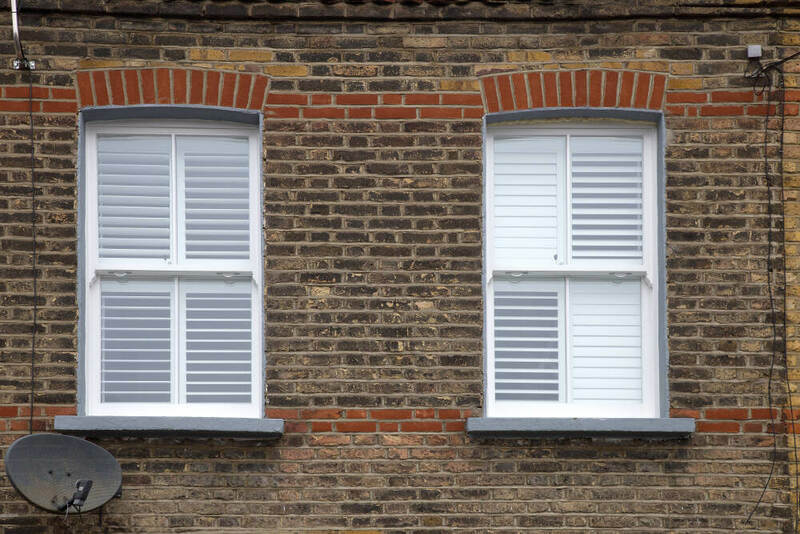 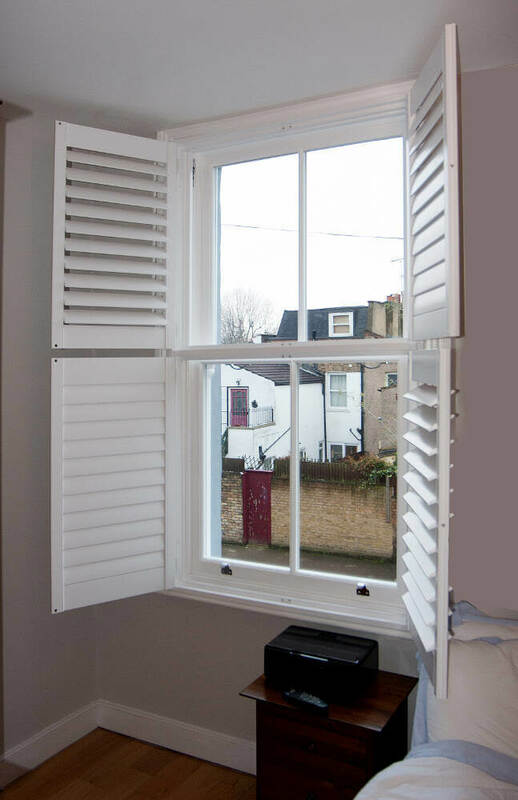 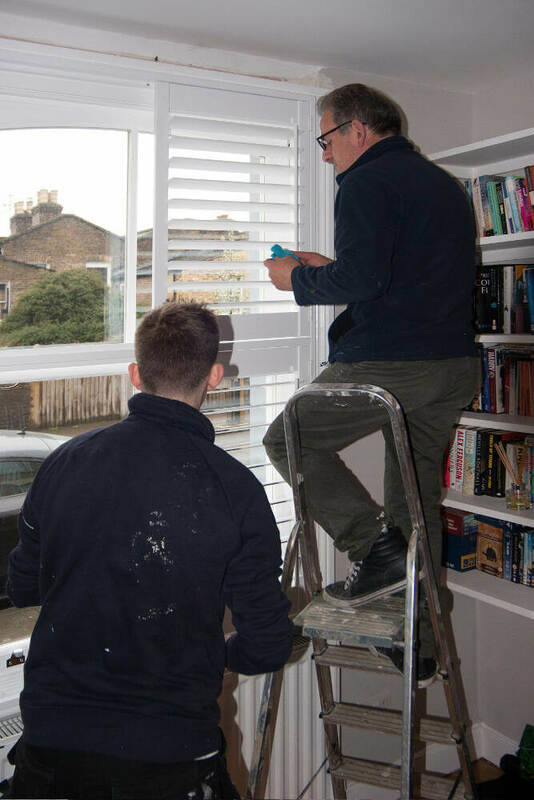 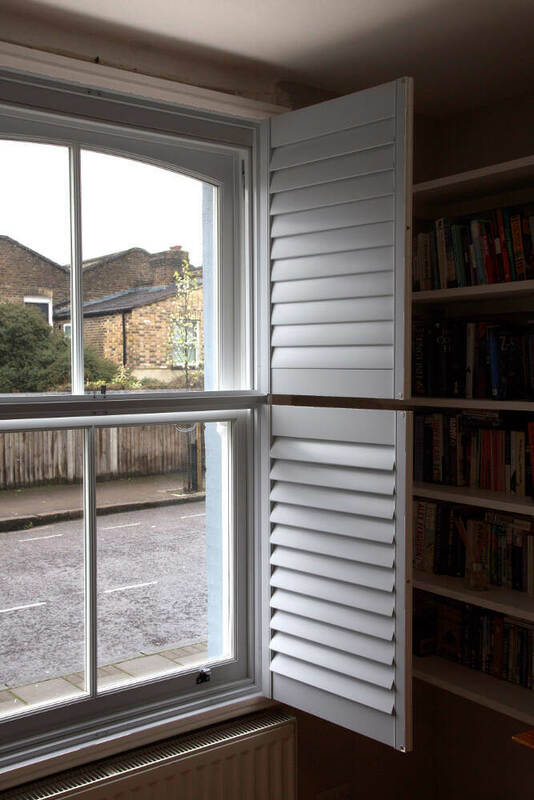 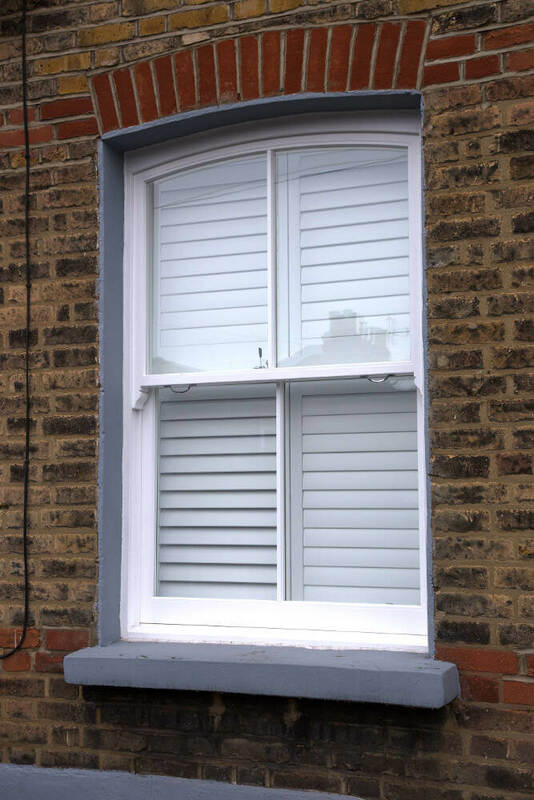 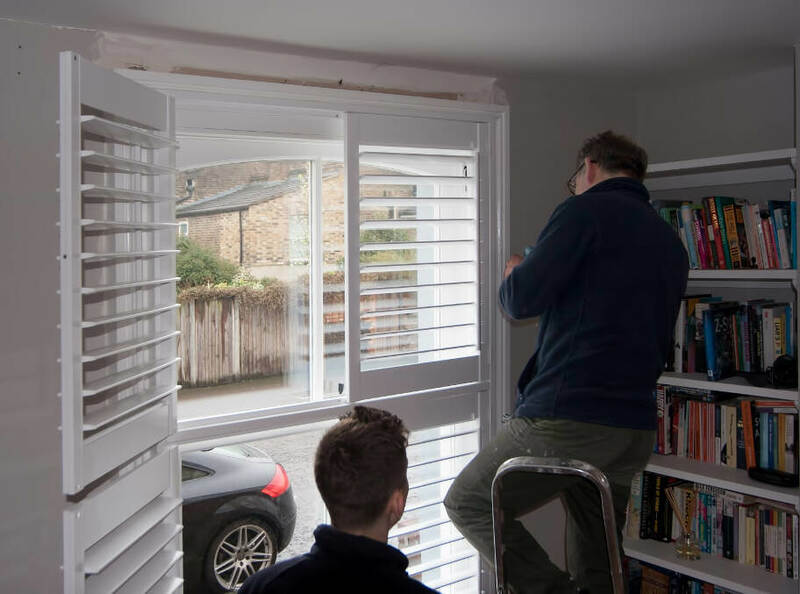 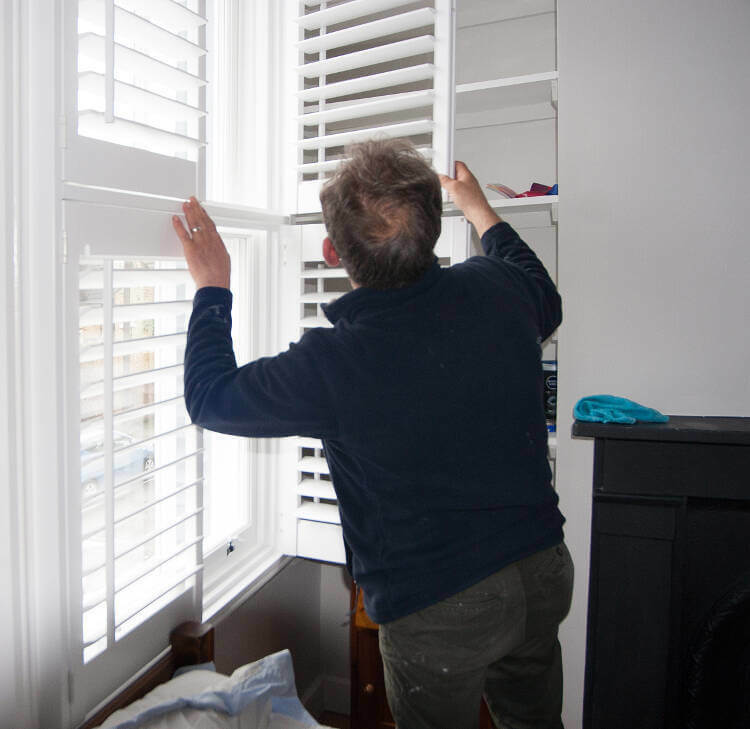 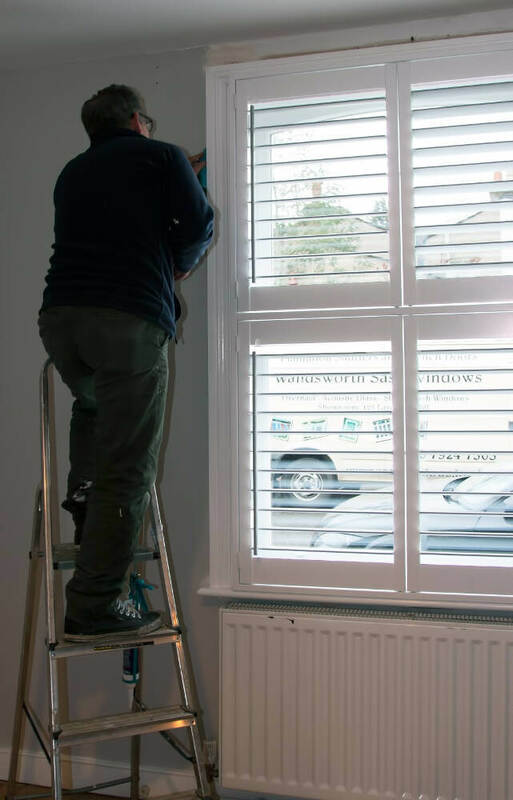 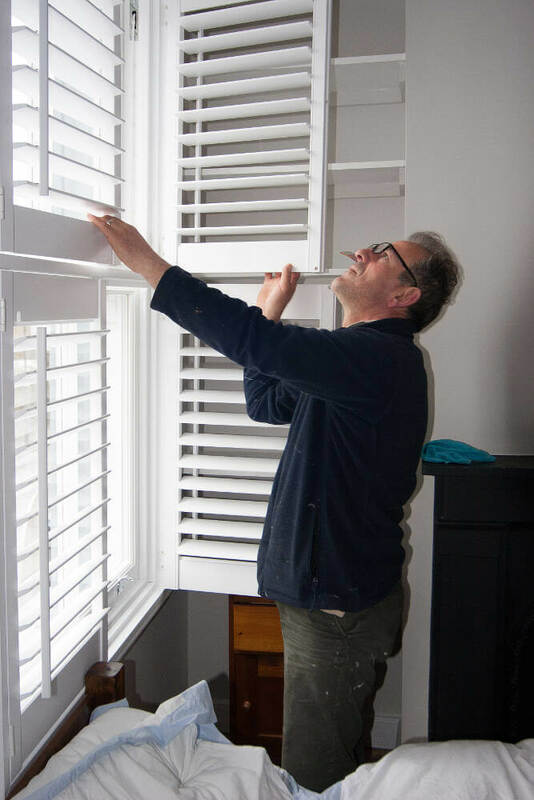 In addition to this work we also fitted tier-on-tier plantation shutters to all three windows.